South Africa, the 2016 champions and pre-tournament favourites, cruised into the final with five consecutive wins. But they were unable to succeed against the hosts who used the energy of the home crowd to their advantage and took the win 44-43. Uganda, meanwhile, also entered today’s match unbeaten, with their last contest ending with a huge score line of 104-10 against Zimbabwe. 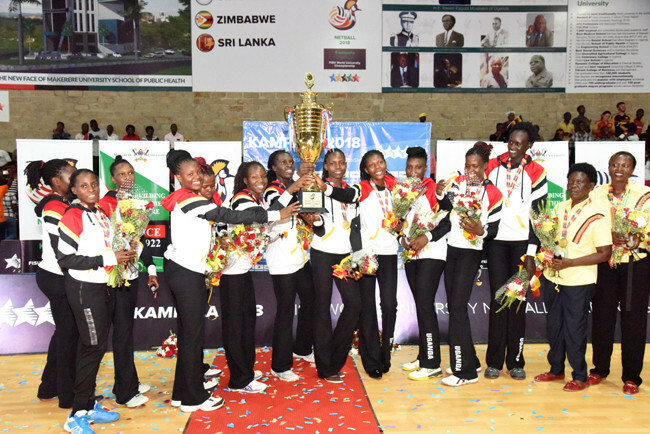 Initially Uganda went behind in today’s final, but in the final minutes the team nicknamed "The Cranes" snatched the gold medal thanks to goal shooter Mary Nuba, who scored the final point. "I have never felt better," she said afterwards.